So coming to my haul for today. 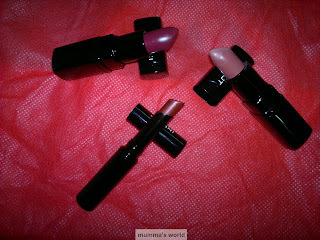 I got three inglot lipsticks as a part of Inglot online sale (at shopatmajorbrands.com) two months ago. The discount was tooo tempting to not avail. They gave a 30% discount on purchase of Rs. 2000 and above. 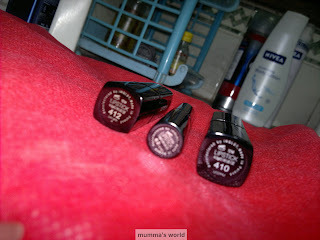 So coming to the lippies which I got, Inglot matte lipsticks 410, 412 and Inglot slim gel lipstick 62. I got these for the upcoming festive + bridal season as most of the lippies I have are daily wear shades. A lot has been said over the blogosphere about the texture, pigmentation, and lasting power of the Inglot matte lipsticks. What I found was that all those claims were true and these lippies survive full meals, and a single swipe gives you enough color. Though a bit drying, I apply either a sheer lipgloss or lipbalm over it. I use whichever is in my bag. 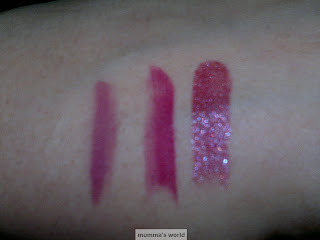 Inglot slim gel 62 ( a must have bridal shade, red with golden shimmers). I hope all of you enjoyed my chotu Inglot haul with me. 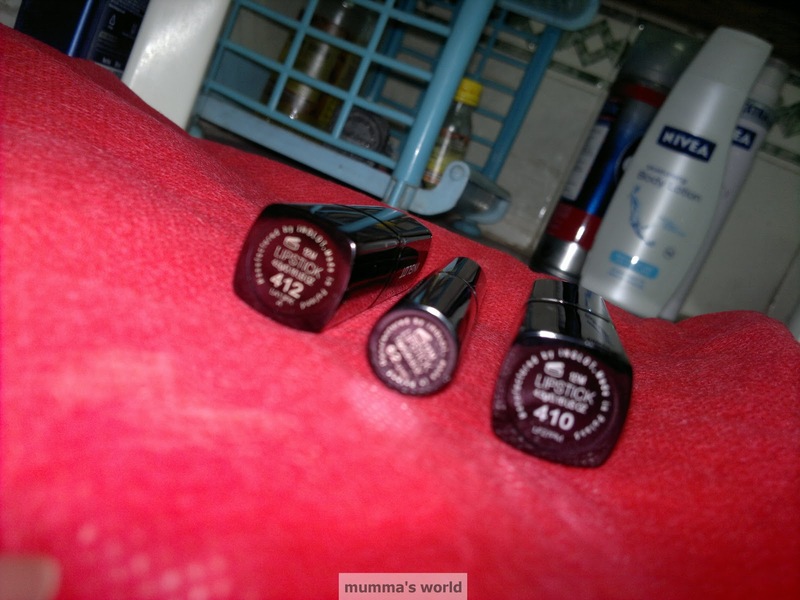 thanks namita, these lippies are awesome, i got them after reading so many reviews about them online..